Kirkland’s is a chain of stores based in Nashville, Tennessee that specializes in selling many different types of products to decorate your home. To find out how to apply for Kirkland’s online, follow the link at the bottom of the page to see what different types of career options there are and get started on your Kirkland’s application. Kirkland’s is named after its founder Carl Kirkland, who opened the very first store in Jackson, Tennessee back in 1966. The company has grown since then and now has nearly 300 different locations in 35 states across the US. The company is always looking to expand so keep an eye out for a new store opening near you soon. There are a number of different ranges of products sold at all of the stores for both the interior and exterior of your home. They sell furniture, mirrors and wall décor, home décor and pillows, lamps and lighting, bed and bath products, kitchen and dining items, rugs and windows as well as different lines of kids and seasonal items. The company also runs a design blog to give customers ideas on how to make the best use of their space at home. They can help with tips on how to host successful parties at your home as well as unique ideas to showcase your favorite home décor items in any room of the house. 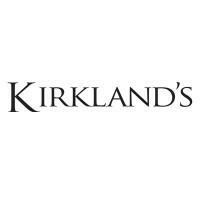 You can find many different Kirkland’s jobs at the various stores across the country. Many of these will be entry-level and so will require minimal experience such as Team Members. For managerial roles including Assistant Managers, Store Managers and District Managers you will need to have proven leadership experience in a similar role. For corporate job opportunities you will usually need to have a relevant college degree in the area that you are applying to. They will be accepting applications for roles in departments such as Accounting and Finance, Sales and Marketing, Human Resources and Information Technology. Their Sales Support Center is located in Jackson, Tennessee. How old do you have to be to work at Kirkland’s? You must be at least 18 years old or over to apply for jobs at Kirkland’s. Kirkland’s careers provide employees with an industry-standard benefits package. Eligible employees will be entitled to a comprehensive health insurance package including medical, dental and vision insurance plans as well as life insurance, 401(k) retirement plans and paid time off. The exact benefits will vary depending on your job description and location. The stores are open from 10am until 8.30pm Monday to Friday, from 9.30am to 6pm on Saturdays and 10am until 6pm on Sundays. Team Member – As a Team Member your responsibilities will mainly involve helping customers with their purchases and with services the store offers. It will help to be knowledgeable in sales and customer service techniques. There will be other general duties as assigned by the manager on a daily basis. The pay for this job is between $8-9/hour. Assistant Manager – As an Assistant Manager you will work closely with the Store Manager to supervise all areas of the store and ensure that all members of staff are working to their full potential. You will assist with opening and closing procedures and take on the role of manager in their absence. The expected pay for this role is $13-15/hour. Store Manager – The position of Store Manager means that you are ultimately responsible for the overall performance of the store so you will need to monitor staff performance and ensure that all sales targets are met. You will be hiring and training new staff and ensure that they meet all required expectations. The salary starts at $45k/year. District Manager – District Managers have a few stores in an area under their purview that they will be responsible for. You will need to keep up to date with corporate mandates and ensure that stores maintain all expected standards. District Managers will need to identify issues with stores and solve problems. The average salary is $65k/year. Make sure you’re well prepared for the interview by practicing some typical questions once you have submitted your Kirkland’s application. Why do you want to work here? You should always be prepared and carry out some research on any company that you wish to apply for as this shows your enthusiasm for the company and the role. How would you handle an angry customer? You’ll need to be able to show the hiring manager that you can handle situations like this. Customer service is a very important part of all Kirkland’s jobs based in their stores. What is your greatest achievement? You should talk yourself up, but remember to use every opportunity to show why you are right for this job in particular. Always make sure that your examples are relevant to the role that you want. How would you handle a conflict with a coworker? Teamwork is a very important trait to have in customer service roles. Try to give an example of when you have successfully dealt with a situation like this in your past career experience. What relevant experience do you have? Be specific when you give details of your past employment experience. Give dates, employers and details about your responsibilities in your past jobs. By searching for Kirkland’s jobs online you can find the careers section of their website or other job advertisements through recruiters. For corporate positions, you should contact their support center directly. The application process is simple, all you need to do is fill in the online application form with your details and experience to apply online. Instead of submitting your Kirkland’s job application online you may also be able to apply in person for entry-level roles. Head down to your local store, bring your resume and ask for a free application from the manager to make a direct application to that store. You can’t download a printable application for Kirkland’s. The application and interview process should only take a few weeks, especially for hourly positions. Often you will be asked to have an initial interview over the phone first to verify your details and your interest in the job. After that you will be asked to at least one face-to-face interview with a store or district manager. Make sure that you give off a good first impression and show that you would be a good fit for the job by being well presented and friendly when you get to the interview. Be polite and professional with the interviewer, and if necessary follow up after to check the status of your application. Bed Bath & Beyond: Visit the Bed Bath & Beyond application. David Yurman: David Yurman offers opportunities for both, beginners and experienced roles. Academy Sports + Outdoors: For employment at Academy Sports + Outdoors visit the application page. Shane Co.: Shane Co. offers opportunities for both, beginners and experienced roles. Play It Again Sports: See our resource page for more information on Play It Again Sports careers.